The Spa at the Augustine is set beneath the Augustine Hotel (part of the Leading Hotels of the World). Their trademark St. Thomas Beer Body Ritual (90 min/$200) is highly recommended. The treatment starts in the Hammam room, where your body is exfoliated with finely ground organic beer hops and nourished with the monks’ secret-recipe beer, all to promote detoxification and hydration; a full-body massage follows. 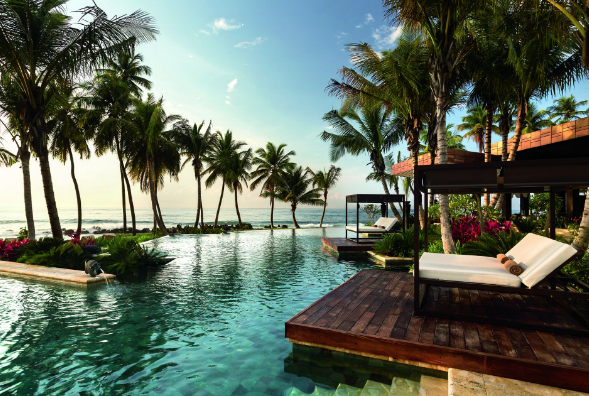 The unusual Hammock Massage (60 min/$200) at Spa Botanico at Dorado Beach, where one is placed cocoon-style in a parachute fabric-like hammock, is a special indulgence. A therapist then lies underneath you and proceeds to massage various pressure points in your back, hands, and feet using their fingers and toes, all the while swaying you back and forth. To compare it to being swung like a baby isn’t an exaggeration. The gentle sway plus the sounds of the ocean puts you out like a light, no matter how much you fight it. Your therapists (male or female per request) at the Sahra Spa and Hammam will lead you to the 1,200-square-foot, 103-degree Hammam chamber, centered around an enormous oval “motherstone”—a heated marble massage table, big enough to simultaneously accommodate up to four lucky guests, surrounded by their attendants. Lying first on your stomach, then on your back, towel draped and tucked around you loincloth-style, you’re exfoliated with a fragrant scrub incorporating coffee, lemon blossoms, and ground olive stones. You’re then literally bathed, as your attendant pours warm water over your body, moving from head to toe with a gleaming silver bowl. It makes you feel like a giant baby…and you won’t want Mama or Papa to stop. No worries, there’s still that bag ’o bubbles, a 20-minute break for private time in the Hammam’s own steam room or soaking tub, and a return to the stone for yet one more cardamom-scented rub-down. Since it opened in 2015, Taipei’s 303-room Mandarin Oriental has played host to celebrities including Madonna and Coldplay, and seriously high-end VIPs. You may not spot Madge during a visit to The Spa, but you will be met with the sublime design work of gay power couple Yabu Pushelberg that eschews obvious Taiwanese motifs for more modern, slick, and subtly rendered local inspirations. The Royal Sturgeon (170 min/$1,179) golden caviar body treatment and facial, complete with an Oscietra snack and beverage. The flagship property of Australia’s wonderfully quirky and stylish QT Hotel family, the QT Sydney blends Gothic, art deco, and Italianate-influenced architecture, and coats it all in a hip, arty, playful, and attitude-free sensibility that’s unmistakable from the moment you arrive (the hotel’s door girls, for example, don red bobs and black berets). The Facial Therapy by Kerstin Florian menu includes a Signature Caviar Facial (60 min/$175, 90 min/$230), which uses a combination of cell-rejuvenating caviar and Chinese botanical antioxidants to increase collagen production, soften lines and wrinkles, and give your skin a powerfully youthful puff. 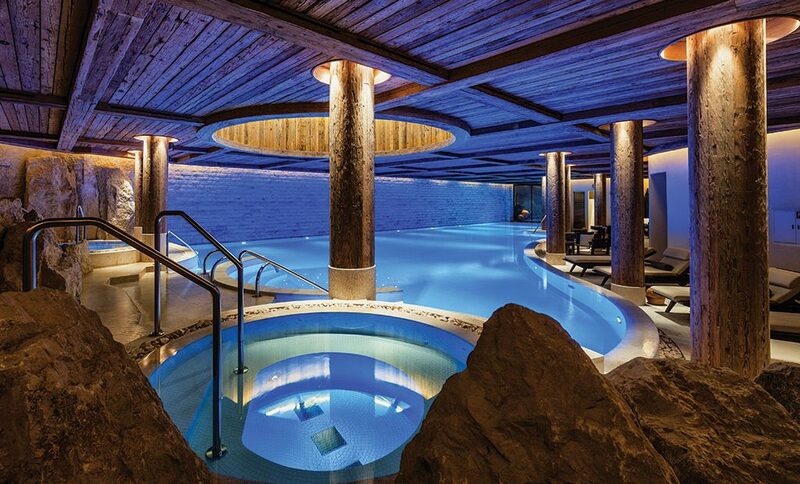 Click here to find our 2017 list of The World’s Most Amazing Spas.